Aug. 15 (UPI) — South Korean President Moon Jae-in delivered a message of incentives to Kim Jong Un on Wednesday, pledging economic assistance in return for North Korea‘s denuclearization. “We must overcome such a division for our survival and development. 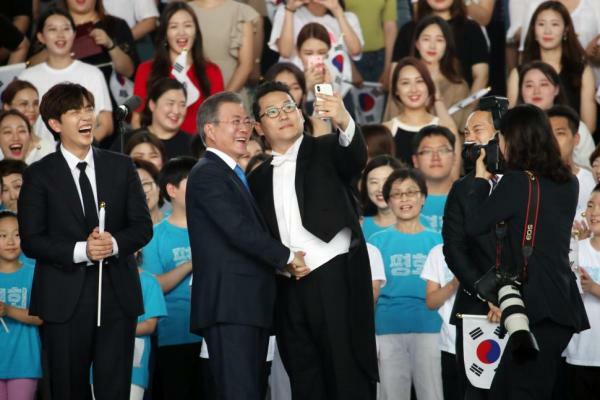 Even though a political unification may be a long way from here, establishing peace between the South and the North and freely visiting each other, and forming a joint economic community is true liberation to us,” Moon said, according to Yonhap. Moon also said North Korea’s “complete denuclearization” should be met with “corresponding measures” from the United States. “The development of South-North Korean relations is not an additional outcome of development in North Korea-U.S. ties. Rather, the development of South-North Korean relations is the driving force that promotes denuclearization of the Korean Peninsula,” Moon said. Moon’s package bears similarity to Vietnam’s initial measures in economic reform, according to the report.